“Since MAS was abruptly axed at the end of 2014, manufacturers have not had access to a support programme that is tailored to their exact requirements and delivered by people who know their sector,” explained Lorraine Holmes, Chief Executive Officer of EGS. This will highlight the areas of improvement required and from there a number of industry specialists will be explored before the client chooses the expert they want to work with on completing the project. 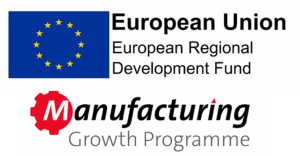 The programme, which offers grants of 35% of total project cost, is also working closely with a number of LEPs and their respective Growth Hubs to ensure manufacturers are signposted to other initiatives that may be able to help.